Are you trying to find a Columbus dentist that accepts your dental insurance or offers flexible payment plans? 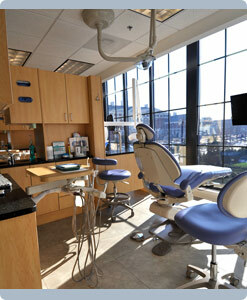 Our dental center strives to make your entire visit pain free! This includes navigating the confusing rules your insurance carrier places on your plan. We are here to help you decide the best way to utilize your insurance so it can pay the maximum possible towards your dental care. You have already paid for these benefits so let us help you use them! Insurance carriers are providing less and less information to make using your benefits harder for you. We will help you avoid common traps that most patients are unaware of that can make using insurance benefits frustrating. You tell us your plan and we will get all the information available that outlines your coverage and explains your benefits. 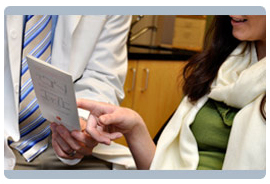 We will file all the necessary claims and paperwork so you can focus on your health! We are here to help you get the care you deserve! With many major employers in the Easton area, we have come to specialize in helping patients understand and use their benefits. Since we have so many patients from these employers, we have built an easy way for you to take advantage of the benefits available to you. Abbott Labs, Abercrombie & Fitch, Alliance Data, AT&T, Bank of America, City of Columbus, Columbus City Schools, Discover, Fahlgren Mortine, FedEx, Gap, Home Depot, Huntington, JP Morgan Chase, Lane Bryant, Ohio Health, Ohio State, State of Ohio, The Limited, Time Warner Cable, Union Benefits Trust, Walmart, and Whole Foods. What Carriers Do We Accept? We work with all open-choice plans, typically referred to as PPO plans. After your examination, we will create a custom plan for you that will detail your estimated insurance payment and your expected copay. We will gather all the necessary information and take the time to show you how your proposed treatment interacts with your insurance. Our goal is to make the finances clear and easy to understand so you can focus on your health! Here is just a sampling of some of the insurance carriers that we have been able to provide patients with customized treatment plans. If you don’t see your carrier on the list here, do not worry, we work with so many more carriers than we can list. Currently we have over 160 insurance carriers that support the work that we do here! If you are looking for a Columbus Dentist that offers flexible payment plans, you are at the right place. If your insurance has a copay or if you do not have insurance at all, we offer a variety of customized payment plans to fit any budget. If you are looking for a flexible payment plan just let us know and we will create a reasonable payment plan that will work for you. Please contact our Columbus Dental Insurance Participation Experts at The Dental Center at Easton today to schedule your appointment.